The year 1888 saw the installation of a portable steam engine for the purpose of providing power for the exhibition of powered equipment. The owner was paid $18.00 for four days, and the Fair Board furnished water and coal. In 1889 a 10 million cubic foot gas well was drilled on the grounds. The gas was used to light the racetrack at night, and nighttime horse races were held in 1889 and 1890. 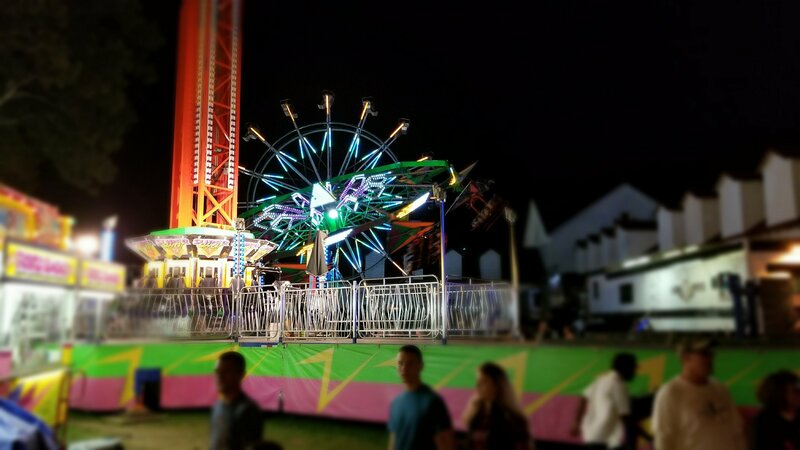 1898 saw the introduction of mechanical amusement rides, including a steam powered merry-go-round. 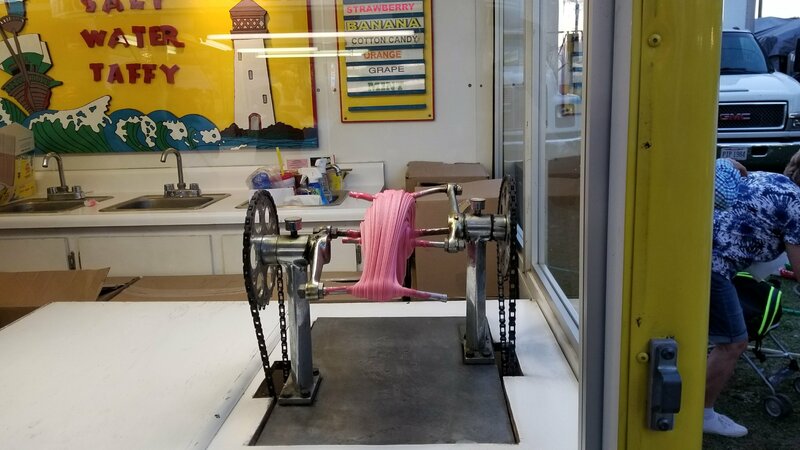 Its owner was paid $15.00 for the privelidge of operating at the Fair. The 1948 movie The Green Grass of Wyoming was filmed in part on the fairgrounds. The Cane Game – a Fair institution. 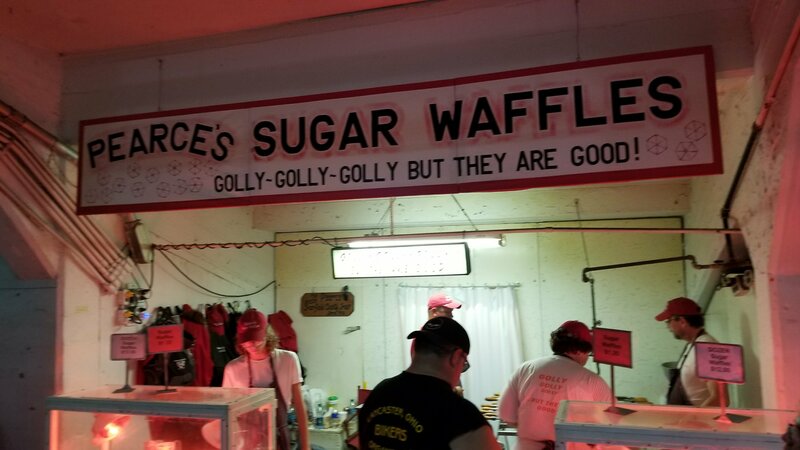 Pearce’s Sugar Waffles – another institution. No trip to the Fair is complete without two things: The Cattleman Special – an absolutely glorious hamburger featuring locally raised beef, lettuce, tomato, and topped with a sweet “special sauce”, and Pearce’s Sugar Waffles – served warm and dusted with powdered sugar. 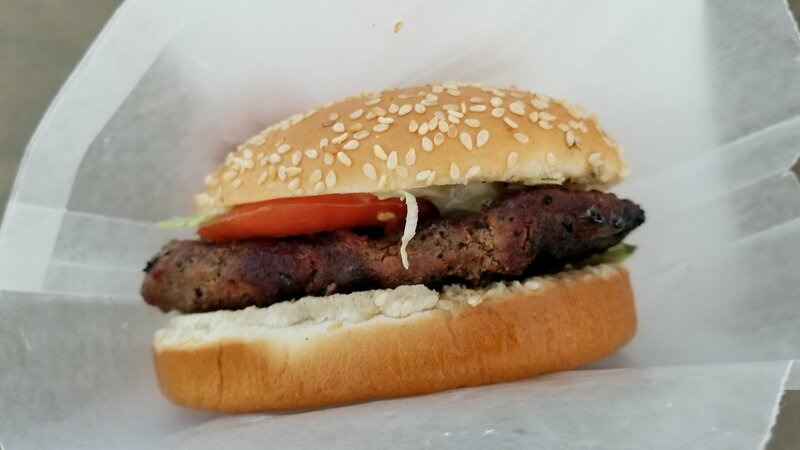 The Cattleman Special – best burger in the state! 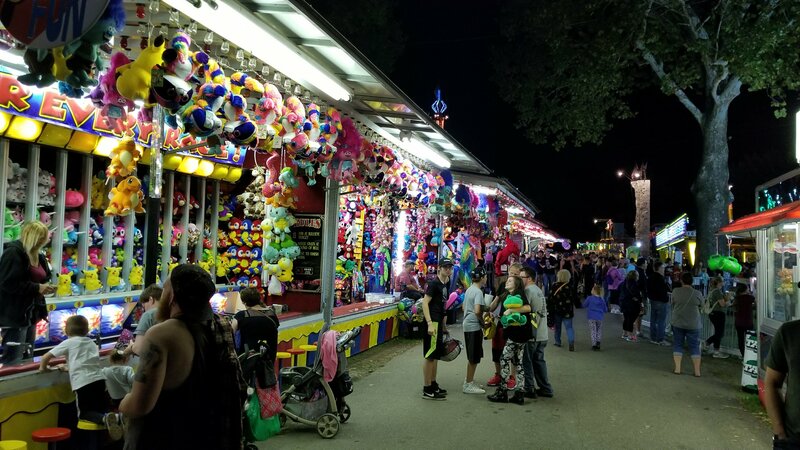 The Fair also boasts an impressive array of rides, animal displays, horse races, art exhibitions, various contests (pies, cakes, floral displays), multiple demolition derbies (combine farm implement and cars, the latter of which can be seen on our Facebook page), and much, much more. 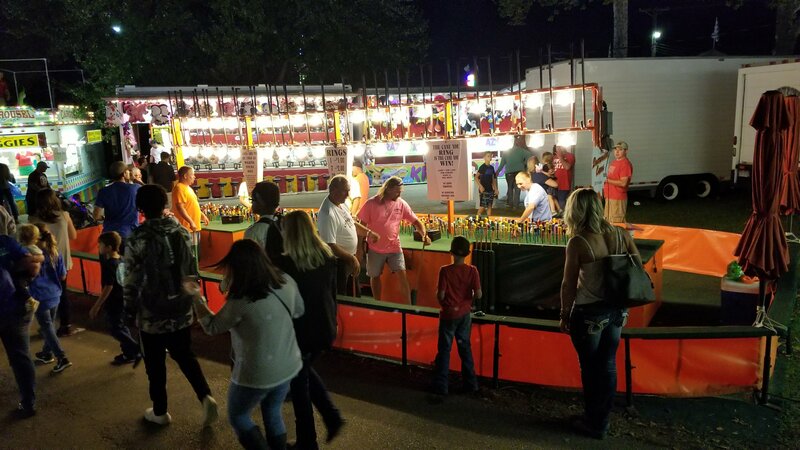 No county fair is complete without games of chance. 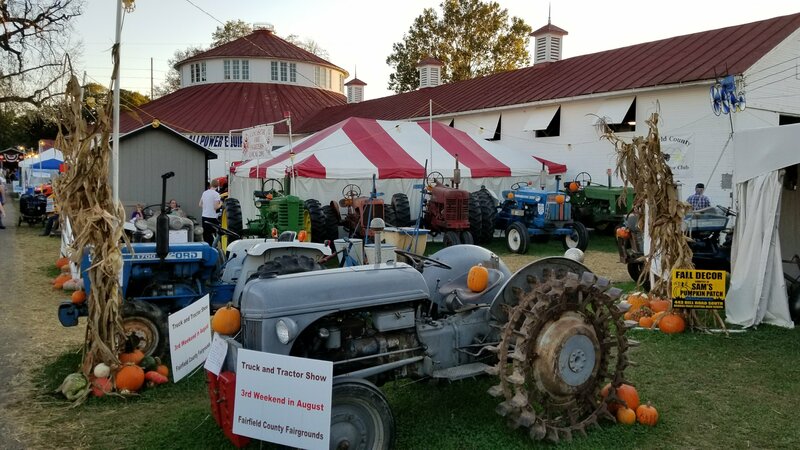 Whenever I think of Fall in Ohio, my first thoughts will always be about Lancaster, Ohio, and the Fairfield County Fair. 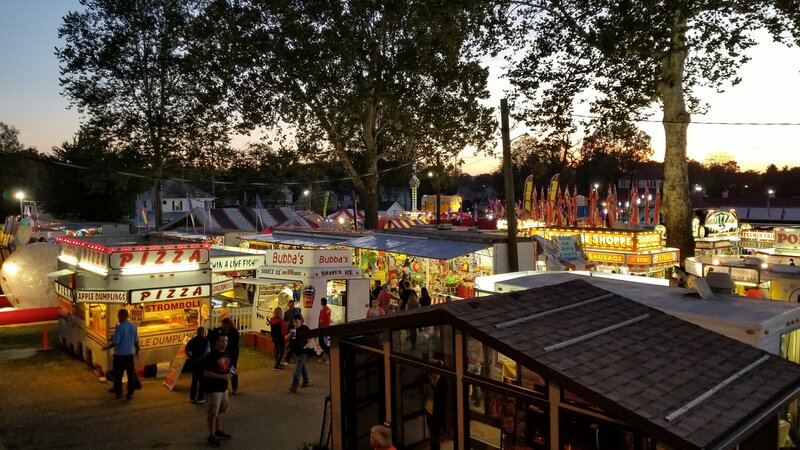 The Fairgrounds at Dusk. A favorite sight. 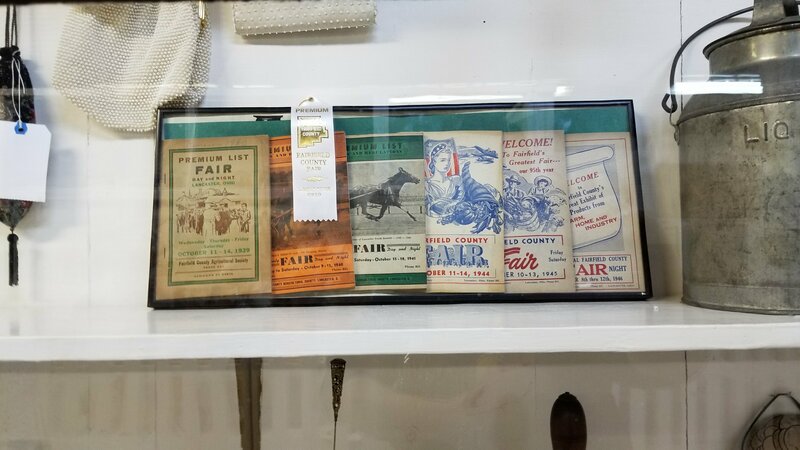 For more information about the Fairfield County Fair, you can visit the Fair Board website. All photographs by Ross Hockman.